A Cheese Fountain? You've got to be Joking! 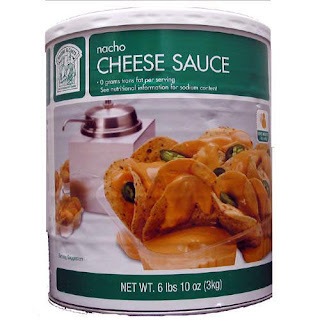 A few months back my son Seth announced that he was planning on having a six-cheese nacho cheese fountain at his wedding, just like the one in the movie Talladega Nights: The Ballad of Ricky Bobby. It was a few weeks ago when I learned that "we" would be making the fountain! Off to Google we go to find other examples of six-cheese fountains and wouldn't you know it, none exist. It even turns out that there isn't even one shown in the movie after all, but only a mention of it. So it looks like we are going to have to build this pig from scratch! We'll share some of our ideas and of course for the rest of the story we'll share pic and vids. Just wait 'till ya see what happens next. Cal Naughton Jr.: We missed you at the wedding. Ricky Bobby: You missed me at the wedding?! Cal Naughton Jr.: Oh man, it was so classy, we had a Stix cover band and a nacho fountain. Check it, it was a nacho fountain with six kinds of cheese on it. Ricky Bobby: Liquid cheese? Like, it cascaded down? Cal Naughton Jr.: Oh man, amazing, six different kinds; Swiss, Havarti, what was the other one? Cal Naughton Jr.: Cheddar, Gouda. 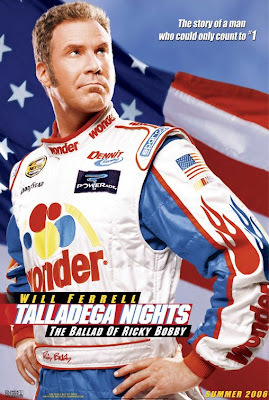 Ricky Bobby: That is the greatest thing I ever heard of. Cal Naughton Jr.: Feeding buffet in front of it, it was awesome. Man, those are inspiring words! Let's do it! We knew we wanted to pump six cheeses so immediately I remembered a roller pump that captured my imagination while watching someone who was going through dialysis. These pumps are made to move blood from the body, through a filter (Sorry all you MIT guys for over-simplifying this) then back to the donor. What you don't want is for the blood to have to pass through more parts than is necessary and likewise there shouldn't be too many joints in the system, so this type of pump made a lot of sense at first. After a trip to Home Depot and Lowe's and dealing with the odd looks from employees as I attempted to explain what we were trying to accomplish, I determined that unless we have a substantial drop from the lower cheese reservoir, the tubing we were finding would collapse after being squeezed by the roller and would never refill with cheese. The problem is the hot cheese will cause the tubes to soften and loose all elasticity. So how do you pump six different cheeses? Pistons were ruled-out because of their complexity and cost, and we weren't about to purchase six submersible pumps for what would likely be a one time use. As is my habit my next stop was a search of the patents in the US Patent Office. It was there that I discovered the patent shown at right. I think this is going to work perfect for our needs. You'll notice that it has a auger, or as some of us know it an Archimedes Screw. As it turns out this is the method used by the vast majority of the chocolate fountains in use today, and it's for a good reason. They work. Below is an illustration of a textbook example of an Archimedes Screw, which benefits from being inclined. Our design requites a vertical pump like the one shown in the patent, but we believe that we'll have an advantage over Archimedes because we are: 1. Powering our pump with a motor, and: B. We are not pumping water. Cheese should not be as inclined to flow down the auger as water so we believe that this design is the way we are going to go. Now, where do we get six augers? So here's the thinking: We need six augers for the cheese pumps outlined in the previous post, and we are woodworkers. It didn't take us too long to decide that we would give our favorite material a shot. Our plan is to build the body of the pump from 1 1/4" schedule 40 PVC pipe. This pipe has an approximate I.D. (Interior Diameter) of 1.25inch, and we've found that 1 1/4" dowel rod slips perfectly into it. To cut the auger we will take a three step approach. A 1/4" deep groove will be cut using an angled fence on the table saw. Using an overarm pin router with a small pin running in the saw kerf from step one, we'll enlarge the groove to it's final width and depth. 1/2" of so. Next we'll switch the small pin for a 1/2" pin and offset it from the original alignment to enable us to add a second groove. This way the auger will move twice as much cheese per rotation! Illustration #4 shows that we will later drill into both ends of the auger for a fixed pivot on the top for the drive pulley, and for a "bearing" on the bottom. More to come on this. How will we power the six cheese pumps? We know now that we will be driving the six cheese pumps on our cheese fountain with one motor, but what's the best way to drive them? The design we are planning has the six pumps arranged in a hexagonal lay-out with the drive pulleys on top. That means that the drive motor will need to be mounted at the top as well. My first choice for a motor was a 1/2HP Harbor Freight submersible pump that I happened to have on hand, but after running it outside of water for ten minutes it was blazing hot! I also had a fractional horsepower motor that is not only DC but also has a variable speed rheostat, so if we don't need the entire 1650RPM's we can turn her down a bit. If the motor is mounted with the arbor pointed towards the ceiling the arbor will turn counter-clockwise. Out plan is to use a single drive belt routed as shown in figure 1. With this lay-out the augers will need to be made to be driven clockwise, so this is what we did. After assembling the pumps we realized that there was going to be a bit more friction working against us even before we add the congealing cheese, so we decided that we needed to switch from a single drive belt to three. Besides the advantage that the belts would contact more of each of the pulley's diameter, if for some reason one of the pumps would act-up we can always yank the belt and still have four pumps going. So we decided on the belt layout shown in figure 2. Oops! That won't work! With that belt lay-out the pump pulleys will be driven counter-clockwise, and the augers are already made to turn clock-wise. Well, we could mount the motor with the motor shaft pointing at the floor, but that would require a total rebuild of the fountain, which is already well underway, so it looks like we're going to punt. The belt we purchased was 3/16" and was .99 per foot. We purchased 15 feet, which will yield us four belts. We only need three but hey, you never know. So, with this style of belt we can do something special; we can twist the belt as shown in figure 3. This will allow us to run the pumps in a clockwise rotation with a pump pulley that is running counter-clockwise. This pattern came to mind over a bacon, egg and CHEESE biscuit (sandwich) at Carter Brothers BBQ in High Point NC with Seth and his Best Man Josh. Is there any problem that bacon and cheese can't solve? Now we need to make some pulleys. One cheese fountain with six sides, or six individual cheese fountains? Of all the things that were decided over biscuits, the most important change in plans came when we scrapped the idea of making one huge fountain with six sides in favor of six individual fountains daisy-chained together. The beauty of this is not only that it will be much easier to transport to the reception, but it will also allow us the ability to use the fountain in a circle of three, four, five or six, and eve gives us the option of setting them up in a row along a wall. Cool huh? The design it very simple now, but it will require more wood. Oh yeah, I failed to mention that this puppy will be made mostly from wood. The illustration here is of one section of the fountain. There will be three levels of drop; The cheese will drop from the pump onto an inclined sheet metal "shelf", where it will cascade to a lower sheet metal shelf, followed by a final drop into an aluminum "retention pond of cheesy goodness". The six segments will be tied together with a top, which will support the motor. Yep, that's the plan anyway. It's Alive! Here's the Six-Cheese Nacho Cheese Fountain in Action! It's been a week since the wedding and my bride says it's taking me too long to get the cheese fountain pictures posted. I told her the point of this blog is to show how we made the fountain, but I suppose she's right. Perhaps you'd like to see a few pictures of the final outcome to know if it's worth you while to hang around. So here it is. The first picture was taken the night before the wedding as we were getting everything in place. What you can see from this vantage point is all we've discussed thus far: The pumps, the frames and the drive belts. The second picture shows my son Seth flipping the switch. The blond gentleman in the background is "Waffle", our friend and Seth's new Bro-in-law. Those of you in the know will recognize the on/off variable speed switch from a Shopsmith Scroll Saw. That's right, we didn't skimp on our cheese fountain like some other cheese fountain builders. The last picture shows "Beanie", my nephew, along with his bride as they load-up on cheese. This looks like it was taken about 5 minuets into the awesomeness, and around the time the motor overheated and shut-down! Sure, you could criticize the fact that we only had 5 minutes of awesomeness, but we must then ask; "How much awesomeness have you created?" As I mentioned, the cheese will begin coagulating from the moment it enters the pump and heads to the "drop zone". One suggestion that my dad had was to preheat the entire fountain. My dad (Cal Markwood) is a real-life Engineer. So much so that he doesn't even know that a bacon, egg and cheese biscuit is already a sandwich; and that the last thing you want to say at Mayberry Days in Mt Airy, NC while standing directly in front of Floyd's Barber Shop is "Who's Floyd?" I sure do love my dad! In the second picture you see the Six Cheese Nacho Cheese Fountain wrapped in plastic, and what you don't see is the small 1200wt ceramic heater. When the time came to put the hot cheese and bricks in place the entire unit was around 100 degrees. Not bad when the room temp was 70ish. Dad's idea probably doubled the run time of the fountain. Markwoods. We're not just smart about multihulls. What did it take to make the wooden augers inside the pumps of the Markwood Six Cheese Nacho Cheese Fountain? Turns out quite a bit. This video shows the initial spiral being cut on a tablesaw of the Shopsmith Mark V, followed by producing the final cut on a Shopsmith Router Arm. Finally the augers are sanded and shellaced. What is shellac? Shellac is edible and it is used as a glazing agent on pills and candies. Because of its alkaline properties, shellac-coated pills may be used for a timed enteric or colonic release. It is also used to replace the natural wax of the apple, which is removed during the cleaning process. When used for this purpose, it has the food additive E number E904. This coating may not be considered as vegetarian as it may, and probably does, contain crushed insects. In the tablet manufacture trade, it is sometimes referred to as "beetlejuice" for this reason. In some cases, shellac is known to cause allergies on contact, resulting in skin irritations. There was still more to the making of the pumps, but this gives you some idea about the tough part. 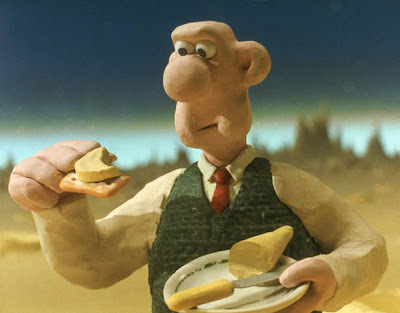 What good would a cheese fountain be without a quality cheese? Our thoughts exactly. After reviewing a bunch of videos on youtube we determined that melting solid cheese for a fountain is a huge mistake. 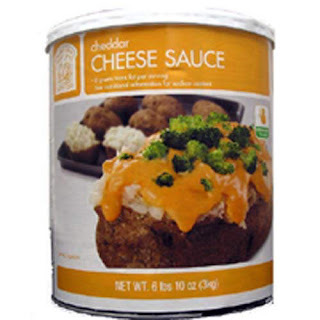 It turns out that cheese likes to clump and separate as it melts rather than liquefy, so after an exhaustive search of recipes we determined that we'd use a product called "Cheese Sauce". While not exactly a cheese, cheese sauce is something that is strip-mined in Texas and refined and sold in 55 gallon barrels by DuPont. Seriously, the brand we chose was Bakers & Chefs from Sam's Club. What we liked most about this brand was that it is delicious and can be thinned with either water or whole milk, so we should have been able to thin it to the proper consistency. Sam's had two flavors: Nacho and Cheddar, so we purchased 3 cans of each. We used one can of each flavor as is, and we "hotted-up" the others by adding various hot sauces. Now is the point where we need to admit that we made an error in judgment. You see, the label said that the cheese sauce could be thinned with either one cup of water or up to two cups of whole milk, so we purchase two gallons of milk and had it in a fridge near by. As we mixed the cheeses and prepped them for heating it struck me that perhaps it wasn't a great idea to add milk to the cheese and then heat in the warming oven. The question that kept gnawing at me was how hot does that oven actually get? We really didn't know, so despite the fact that we wouldn't be able to get the cheese as thin with the water option it just seemed like the safe thing to do. This is why you see me adding more hot water about mid-way through the video... that darn cheese just wasn't flowing properly! Should have gone with the milk, but we could have nuked it and added it just prior to adding the cheese to the fountain. Oh well, perhaps you can benefit from our mistake. This cheese was excellent and we couldn't give it a higher recommendation. To the best of our knowledge it can only be purchased at Sam's in 6.62 lbs cans, so we've added a hyperlink to each if you click on the photos at right. Heck, while we're at it we'll even make Wallace a link too. Cheese! Nice view, huh? This is Camp Mundo Vista, and to my eye this is one beautiful vista! Click the Pic to Biggie-Size it. Seth and the "Markwood Mafia" heading down to the chapel. My Son-in-Law Nathan aka "TBNL"
Best Man Josh aka "CoonDawg"
My Son Seth, aka "Boy"/"SPAM"
In fact, it wasn't until I read the name Adam in the wedding program that I've ever even heard Tex's real name, and here's been a part of the "family" for years! One of my favorite sites that I’ve been visiting for the past year or so is Instructables.com. Instructables is a site where lots of creative and crazy people like me share their projects in a step by step instructional thingie called an Instructable. Some of you know that my son was inspired by a comment in the movie "Talladega Nights" and just HAD to have a Six Cheese Nacho Fountain at his October 2008 wedding. Instructables is now having a contest and we have entered this project in it and we need your vote to help put us over the top! We used Shopsmith tools throughout, and there are lots of pictures and videos included. There are actually three rounds of voting, so in this first round you can vote for any and as many of the Instructables that you like. The second round is judged by the editors at Instructables and some editors from Popular Science! In order to vote you'll need to register, which is a fast 30 second ordeal. I been visiting this site for over a year and can confirm that that they don't send unwanted emails or sell your info. The voting began on Jan 5th and runs through the 11th, so please feel free to forward this to all your friends. Step 1) Click this LINK and Register at Instructables. This is done by click on the "Sign up now" link on the top right of the page at the link below. Step 2) Once you register search the term “Aristocob” or “Cheese Fountain”. Step 3) Click on the VOTE NOW! Link. Some folks are apparently "ranking" the Instructable, with is fine, but that's not the same as voting. The VOTE NOW! link will not work if you don't register. Thanks for your support and we'll let ya know how things go! Check back, more posts to come!